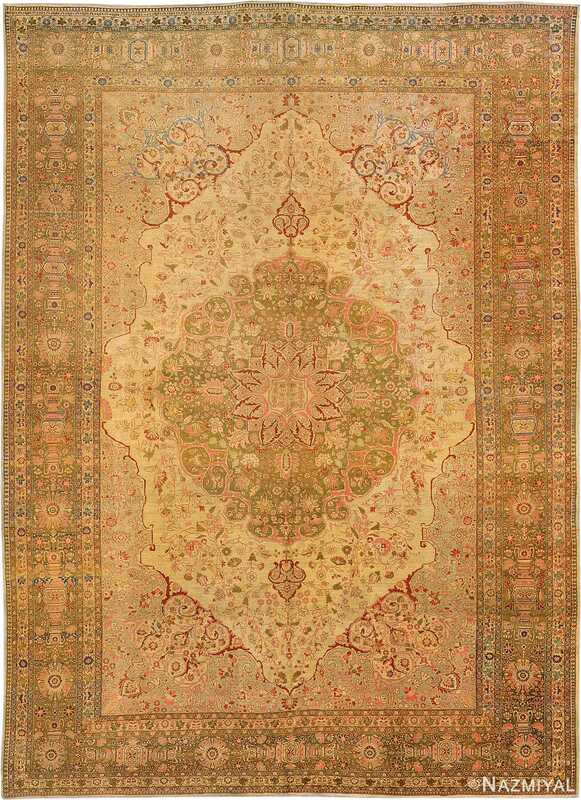 Antique Persian Tabriz Rug, Country of Origin: Persia, Circa Date: 1920 -This beautiful room size Persian Tabriz rug is a great addition to any space. 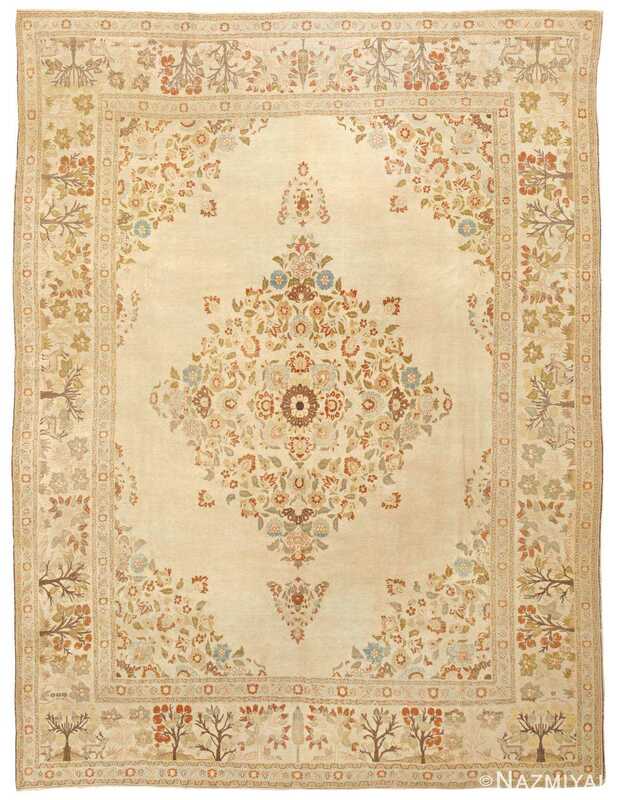 The rug carries beautiful complimenting tones, that are mostly soft, light shades of brown and a generous, central area that is colored in a dark navy blue. This area is gorgeously decorated with large floral elements that are delicately detailed in a light teal. 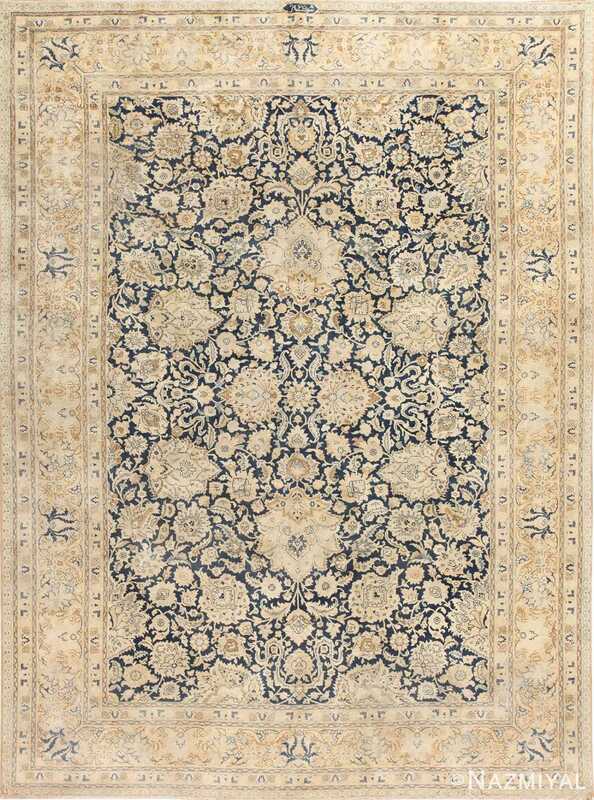 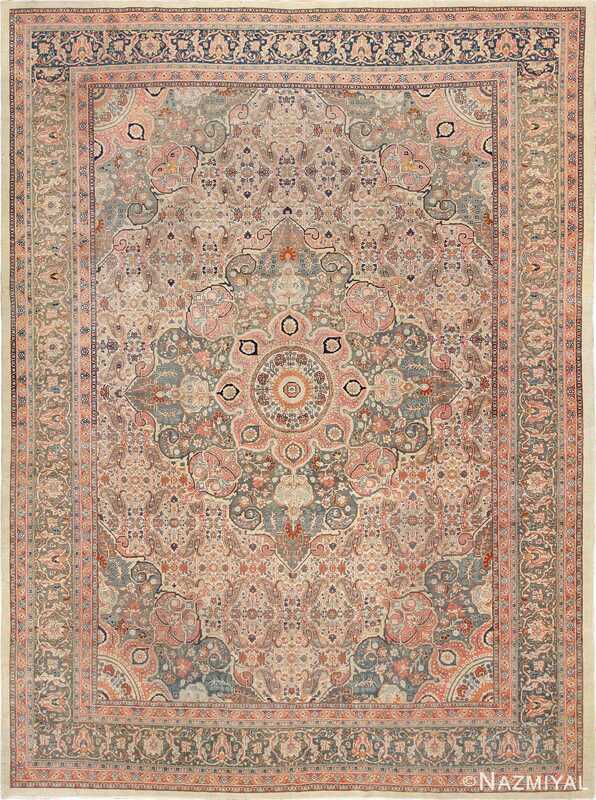 The surrounding border of this rug balances this Persian piece with an eye pleasing amount of contrasting, small angled elements that allows the rug to be both pleasing to look at intimately and glance at casually in passing.